Top 10 Reasons to use Puppy Linux as a Linux Live CD Operating system! Puppy Linux is an easy to use desktop operating system based on Linux which you can use by just burning Puppy Linux to CD, and using the CD to start your computer to Puppy CD. Usually, all you need to do is just leave the CD inside the CD drive of your computer after you burnt it, and your computer will recognize that you have Puppy Linux Live CD in it, and will automatically boot to your Puppy Linux Live CD, and after a minute or less you can start using Puppy Linux when Puppy Linux is done loading on your computer or laptop. Puppy Linux is a great free desktop operating system for web browsing, watching videos, listening to music, photo editing, or just having fun with your computer rather then trying to fix performance and stability problems since Puppy Linux is very stable, and runs fast on many older and newer computers and laptops which were made in the last 10 or more years. Top 10 Reasons to use Puppy Linux Live CD! 1. Puppy Linux is free since Puppy Linux is based off of Linux which is a free operating system which you can use on your computer for free with no need to spend extra money to maintain and keep your computer safe by buying an antivirus, antimalware, antispyware, system utilities, disk clean up, registry cleaners, registry defrag and disk defrag program to maintain your computer like Windows based computers where many Windows users spend hundreds or even thousands maintaining one or multiple computers by buying Windows maintenance software. But, with Puppy Linux no paid software is needed for maintaining your operating system since every time you restart Puppy Linux, it would be as fast as the first time you used it. 2. Puppy Linux is easy to use and learn. The user interface, and programs which come bundled with Puppy Linux are similar to programs which you use in Windows, Mac, or other Linux operating system like Ubuntu, Fedora, etc. 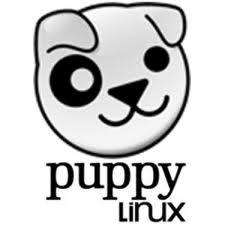 By using Puppy Linux, you don't have to learn about anti-virus, disk clean up programs, disk defrag, Operating system updates, and system utilities to keep your operating system running well because everytime you use Puppy Linux it works like new without the need for operating maintenance. All you basicly have to learn is how to use programs like Firefox, Chrome, Abiword, and media players rather then learning how to maintain your operating system like Windows. 3. You'll experience fewer software problems like computer freezes, crashes, and other problems with Puppy Linux since Puppy Linux is based on Linux which runs many of the worlds top websites like Facebook, so it needs to be stable. Plus, the bundled software which comes with Puppy Linux is compatible with Puppy Linux, so there should be no or fewer compatibility problems when using software in Puppy Linux compared to software made for other operating systems like Windows and Mac where software does not always work for older or newer versions of their operating system. 4. Puppy Linux is very unlikely to be infected by virus, spyware, and malware programs since there are very few bad programs which can automatically attack your computer without your permission unlike Windows operating systems which has a greater chance of getting a virus. In Linux, you have to manually give permission to any program which wants to install on your PC in most cases, so auto-run virus programs are very rare. 5. It is easy to get started using Puppy Linux. All you have to do is go to the Puppy Linux website, and download the CD ISO image file for the Puppy Linux Live CD, and use a CD burning program like Roxio, or Nero to burn it, and restart your computer with the Puppy Linux CD inside of it, and in 1 minute or less your computer would be booted into Puppy Linux. You can also install Puppy Linux on to a USB flash drive with UnetBootIn by setting UnetBootin to use the Puppy Linux ISO to make a bootable flash drive. 6. Puppy Linux is one of the most fastest operating systems which run from a LiveCD since it copies itself to your system RAM, so you can take out the CD, and just use Puppy Linux from your faster system RAM. This means Puppy Linux does not need to read from the CD to launch programs since it reads from PC RAM which is a lot faster then CD. Your computer will also run quieter since RAM is silent when reading programs on it compared to a CD which spins, and make noise as it reads content off it. 7. You don't need a very fast computer to run Puppy Linux since Puppy Linux is designed to work on many older computers and laptops. It should work great on most desktop and laptop computers made in the last 10 years or longer. 8. You can save your settings, files, and other data which you changed on Puppy Linux to a USB flash drive, or internal hard drive, so you don't lose your settings, programs, and files which you installed in Puppy Linux After you rebooted your computer. Puppy Linux will ask you if you want to save your settings for your video, internet, installed programs, and other files when you reboot or shutdown your computer with Puppy Linux for the first time. After the first time you shutdown, Puppy Linux will automatically save your settings to the Puppy Linux save file on your hard drive, flash drive, or other storage device like a SD card. 9. Puppy Linux does not require you to install it on your computer, so you don't risk losing data from a failed dual boot, or regular install on a hard drive with Data from Windows, or other Linux operating system like Ubuntu. You can just use Puppy Linux from the CD. Although, you can install it to your computer drive if you want to with the Puppy Linux Universal Installer and Gparted for faster start up after the install. 10. Puppy Linux is fun to use since it comes with all the programs which many people regularly use on their home PC like web browsing, office suite, chat, and media players, so you spend more time having fun on your computer rather then searching for programs, and fixing problems from downloaded programs from the internet which you installed on a PC. Hibernate vs Sleep power plans on operating systems, and how are they different from each other? Hibernate and Sleep are two different power plans which you can use to save power when you are not using Windows or your computer. What is Hibernate Power Plan? Hibernate is the process of saving all the content in your RAM/Memory on your hard drive before your computer is turned off. Hibernate needs as much free space as the used space in your RAM. Hibernate will make your computer start up from a power off state a lot faster then Shutdown your computer, and turning it ON or Restart. Hibernate uses no power when your computer is OFF. You are not as likely to lose unsaved work in Hibernate if your computer experience a power outage during a power outage vs. just leaving your computer ON, or in sleep mode without saving your work, but you should still save and backup your work before you Hibernate since if your hard drive or hibernate fails, you'll lose all your data or unsaved work. It is best to use Hibernate if you plan not to use your computer for a few hours. What is Sleep Power Plan? Sleep is the Windows Power plan which turns off your CPU, Hard drives, computer fans, optical cd drives, video card, and other devices, but your Motherboard, USB ports with mouse, keyboard, and other devices plugged into them will still be power on, your power supply, and power button are also ON, so your computer can easily wake up from sleep. Most importantly, your memory is not off since your Memory is needed to be powered ON to avoid data loss which will cause Windows to stop working, and you'll lose unsaved work if there is a power outage. Waking up from Sleep is almost instant, and a lot faster then Hibernate. Sleep is best used when you plan not to use your computer for a few minutes or under an hour.